In addition to the TAA Advisory Board , Allen serves as a member of the Humane Society’s first Thoroughbred Advisory Board as well. This is his third year as a TAA advisory board member. Allen has been the Senior Vice President of marketing for the New York Racing Association, Santa Anita Park, Hollywood Park and assistant general manager for development at The Meadowlands. He served as Director of Marketing for Arlington Park and has consulted for Sam Houston Park. In a second-go-round with the New York Racing Association, he consulted at Belmont and Saratoga during a management transition. He ran Santa Anita’s marketing for Breeders’ Cups in southern California. 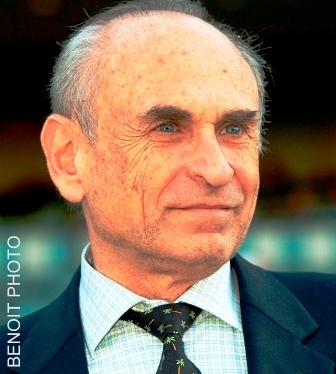 He has overseen marketing of multiple editions of the Belmont Stakes, Travers Stakes, Santa Anita Derbies, Big Caps, Hollywood Gold Cups, American Oaks and one Arlington Million. He created the first Breeders’ Cup Preview Days for NYRA in the 1990s and was part of the team that brought harness racing’s premier event, the Hambletonian, from DuQuoin, Illinois to the Meadowlands and metropolitan New York City. He is a partner in the consulting firm Racing Resource Group. For over 40 years, I’ve been blessed to play a significant role in the horse racing industry. I can’t imagine any career I might have had that would have been more rewarding, more satisfying, more thrilling or more fun. All because of the horse. I owe just about every good thing in my life to the horse. They lay down their lives for us every time they step on the track. We’re obligated to take care of them when they finish racing. We’re the ones with brains. We’re the ones who are obliged to be responsible.